Discussion in 'PatsFans.com - Patriots Fan Forum' started by meatface, Feb 12, 2019. There has been a lot of turnover with the Patriots coaching staff and even more rumored changes. Obviously Brian Flores took his talents to south beach and took several Patriots coaches with him, but I decided to make a thread so we can track the changes a bit easier. I'm going to list them as Rumored until they are officially announced. Mike Lombardi Jr- Assistant QB coach??? Patrick Graham was with the Patriots from 2009-2015 and he will be the new DC for Miami. 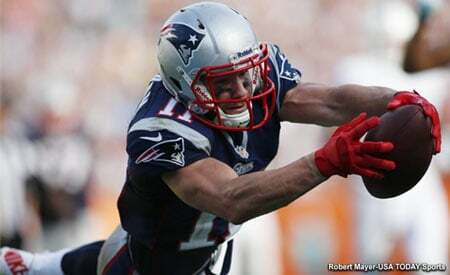 George Godsey was with the Pats from 2011-2013, leaving to join Bill O'Brien in Houston. He was with Matt Patricia last year as QB coach. He will be the Tight End coach for Miami. Tiquan Underwood and his high top will be Quality control coach in Miami. I hope the guys leaving are getting sick pay raises. I would think any suitors would be offering super-generous compensation just to get any bit of magic from the Patriots' approach. Plus, the defecting coaches are all going from the best team to likely losers (except the guy going to the Chiefs), I'd hope the money was irresistible. Sounds like it could be something like TE coach Nick Caley getting promoted to WRs and unofficial assistant OL coach Cole Popovich getting promoted to TEs. That would be the second time that the Scar understudy would be moved to be TE coach. The same happened with Daboll after 2013. I think both moves seem pretty plausible. Nice job. Offensive assistant Atif Austin is leaving the Patriots after one year to coach at Northern Illinois. So bad it left a mark. With Austin leaving, I assume that means all these vague low level coaches aren't going to just get promoted to fill the empty positions. Looks like Bill is going heavily paisano. Lol are we bringing in Deglumio back as a assistant? If we draft all Italian players Bills been watching to many old mob flicks. In what universe would going from a coaching assistant with the Super Bowl champion NE Patriots to being the RB coach at Eastern Illinois University be considered a career advancement? This was a polite firing by the Pats. Good luck in your future endeavours Coach Austin. The Patriots are considering moving Joe Judge from Special teams coordinator to an offensive coach role. Allegeldy it would mean current assistant Cameron Achord would become ST coordinator. I took it to mean in addition to his STs responsibilities.